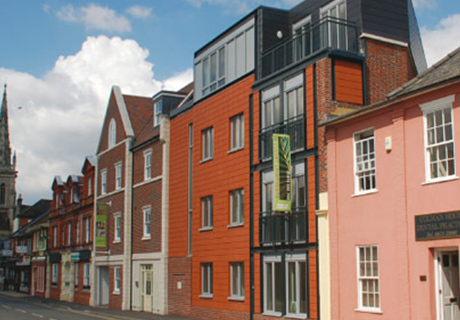 A complex inner urban site formerly used as an auction house provided the opportunity for a high quality residential development in the centre of Ipswich. 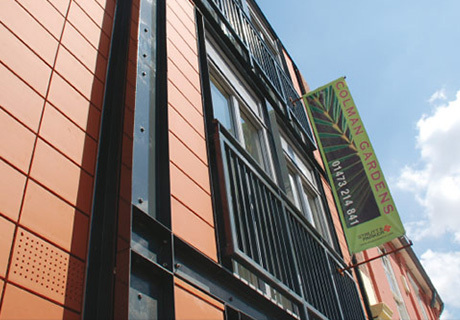 This was the first project outside London for the developer, Greencroft Properties which had formerly grouped their development projects in the West End. We acted initially for the auction house owners to gain planning permission for this prominent site and were then invited by Greencroft to deliver the scheme. The original auction house complex comprised a number of separate buildings and the elevation to Great Colman Street retains the beautifully detailed façade of an original Edwardian shopfront and progresses through a traditionally detailed central section to culminate in a pavilion of contemporary design. This transition of architectural styles has transformed the street scene along Great Colman Street and provides a link between the town’s retail centre and the surrounding residential area. 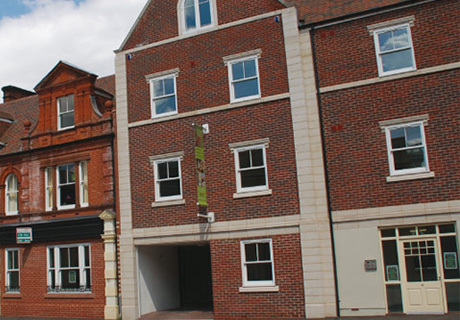 All the flats are of very high specification and are grouped to the rear of the building around an extensively planted courtyard.